Meet the team at Vital Links. Sheila Frick, OTR/L is a Pediatric Occupational Therapist and founder of Vital Links. Since 1980, Sheila taught internationally clinician, lecturer, and pioneer in Occupational Therapy. Sheila has well over 30 years of clinical experience, having worked in psychiatry, rehabilitation, and home health before specializing in pediatrics. Sheila expertise includes sensory processing dysfunction, sensory integration, and auditory interventions. Sheila has explored the links between Sensory Integration and developmental movement patterns through many avenues including the teaching of Bonnie Bainbridge Cohen at Body Mind Centering, Marcia Monroe and Donna Farhi on developmental yoga training, and Peggy Hackney on Bartenieff Fundamentals. 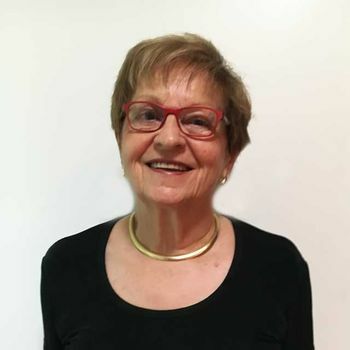 In addition, Sheila has collaborated with well-recognized leaders in the field of Sensory Integration including Mary Kawar, Patricia Wilbarger, Julia Wilbarger, Patricia Oetter, Eileen Richter, and Mary Fiorentino. Sheila created and continues to expand Therapeutic Listening®, which has been taught to over 14,000 therapists worldwide. She also lectures on topics such as clinical neurology, respiration, the vestibular/auditory system, and various auditory interventions. Sheila is the author of Listening with the Whole Body: Clinical Concepts and Treatment Guidelines for Therapeutic Listening, and co-author of Core Concepts in Action; Astronaut Training: A Sound Activated Vestibular-Visual Protocol; and Out of the Mouths of Babes. Recently, Sheila served as a contributing author for her section on Therapeutic Listening in the upcoming 3rd edition of Sensory Integration: Theory and Practice. Sheila’s interest in further exploration of the impact of traumatic experiences on sensory processing and overall participation in daily life led her to training and later teaching with the TRE® organization. 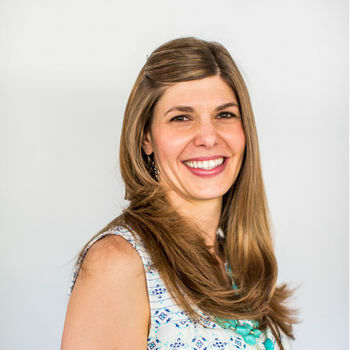 Her recent work in TRE® has influenced Sheila’s interest in expanding techniques and activities appropriate for children and young adults aimed at reducing stress, tension, and anxiety through movement and auditory based tools (Quickshifts). Sheila continues to lecture on clinical, practically oriented, treatment focused workshops worldwide along with seeing clients in her private practice in Madison, Wisconsin. In addition to actively treating clients in the clinic, Tracy has been trained in the both the clinical practice and teaching of Therapeutic Listening and Quickshifts. Tracy currently enjoys joining Sheila in her efforts teaching these practical treatment tools with therapist across a variety of treatment settings. Tracy could not imagine treating without using the Therapeutic Listening library of albums as it is an integral treatment foundation for so many. Her client list, which spans a diverse range of age, gender, and race, regularly experience the immediate and life-changing impact that Therapeutic Listening provides. It is Tracy’s hope that more practitioners will have an opportunity to be exposed to the power of the Therapeutic Listening and Quickshifts, and that more families will have access to these remarkable treatment tools. Through Tracy’s journey here at Vital Links and Therapeutic Resources she not only had the privilege of being mentored by Sheila, but also has been influenced by a number of other exceptional therapists including Mary Kawar, Julia Wilbarger, Gail Ritchie and Brenda Lindsey. Furthermore she has completed continuing education courses in Interactive Metronome, Therapressure Technique (Wilbarger approach), and Astronaut Training. Tracy’s interest in furthering her understanding the connection between sensory integrative difficulties and the impact on function continues to drive her curiosity and passion for professional learning. Tracy is looking forward to the future of working with Sheila Frick and the whole Vital Links community. Mary Kawar, adjunct lecturer to Vital Links, began her occupational therapy career at the Elizabeth Kenny Institute in Minneapolis after graduating from the University of Minnesota. Two years later she moved to San Diego with her family. Soon thereafter she became the Director of Occupational Therapy at Children’s Hospital and Health Center. During this twenty-year period her responsibilities expanded to encompass the affiliated occupational therapy department at Sharp Rehabilitation Center. After instituting an out patient program for learning disabled children, Mary was honored to have a site visit from Dr. A. Jean Ayres. This contact evolved into an invitation to serve on the board of directors for The Center for the Study of Sensory Integrative Dysfunction in Los Angeles. Board membership continued for several years during which time Mary had many enriching dialogues with Dr. Ayres and other pioneers of sensory integration who were dedicated to the advancement of Sensory Integration research and practice. As part of this experience Mary was one of eighteen participants who contributed research projects that were published in a book entitled Research in Sensory Integrative Development. Mary founded and organized an annual Sensory Integration Conference in San Diego that featured Dr. Josephine Moore each year as the keynote speaker. This highly successful conference continued for twenty years and included many fruitful dialogues with esteemed professionals including Milani Comparetti, Mary Fiorentino, Carl and Berta Bobath, Pat Willbarger, Joy Huss, Berry Brazelton, Ginny Scardina, Ellie Gilfoyle, Winnie Dunn, Anne Henderson, and Antji Price. Mary resigned from her position at Children’s Hospital so as to receive her master’s degree in OT at Boston University and then opened private clinics in southern and northern California for children and adults with sensory processing and motor control issues. With over 60 years of clinical experience, Mary has acquired a wealth of expertise and has been particularly successful at developing precise treatment strategies, creating unique therapeutic tools, and designing clinic spaces. She is co-author of two book/CD combinations entitled Core Concepts in Action and Astronaut Training: Sound Activated Vestibular Visual Protocol for Moving, Looking, and Listening. She has also written a chapter in the book Functional Visual Behavior in Children. Most recently she has written two sections for the forthcoming 3rd edition of Sensory Integration: Theory and Practice. 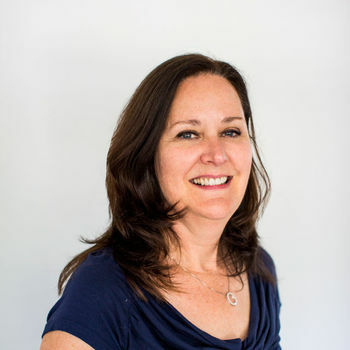 As a well respected professional, Mary lectures throughout the US and internationally with themes that center on the vestibular system and its support for all aspects of sensory processing and motor control. Mary collaborates with Vital Links, Inc. to provide live courses and webinars for advanced clinical education.